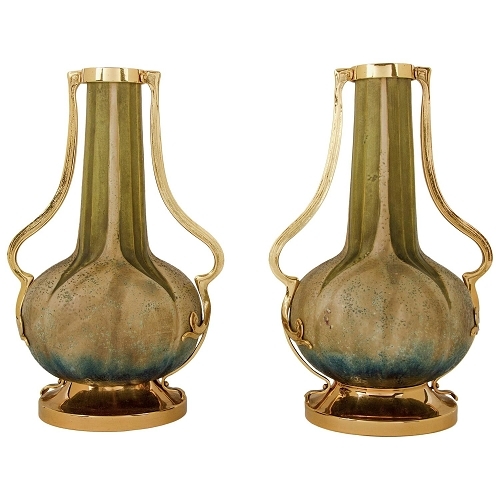 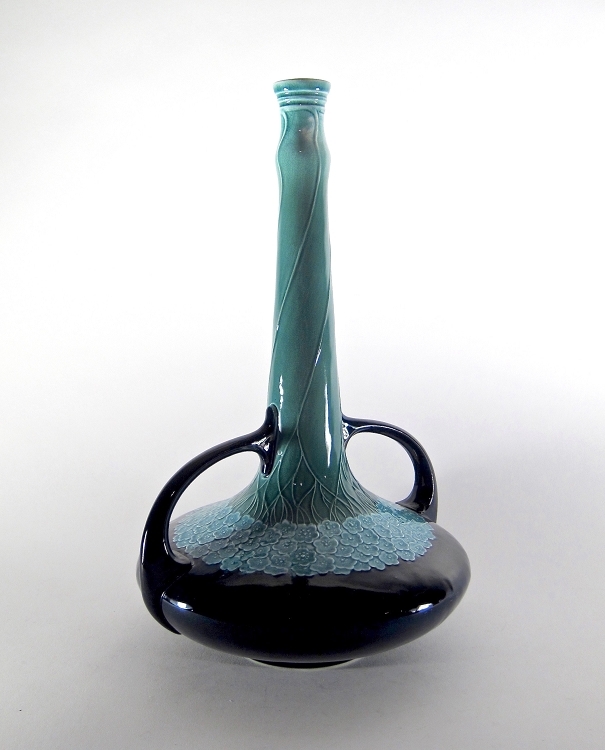 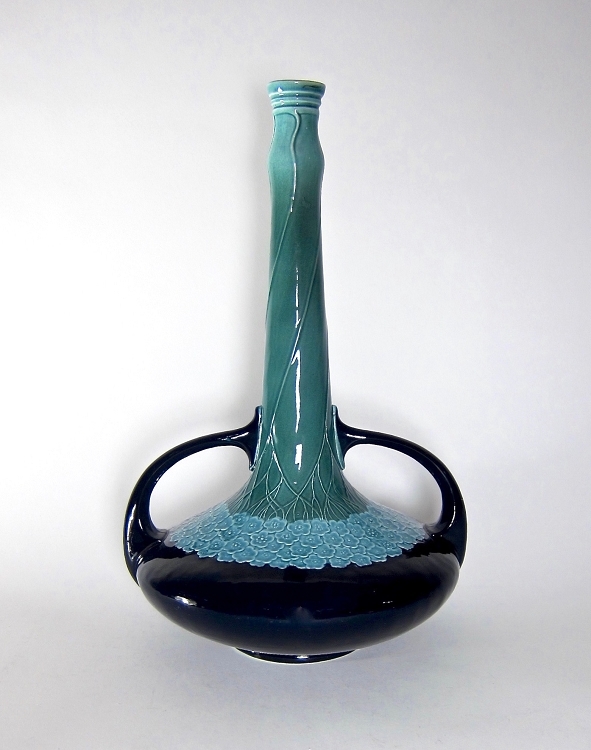 A sophisticated double handle vase made in 1904 at the height of the Art Nouveau period at the Villeroy & Boch factory in Mettlach, Germany. 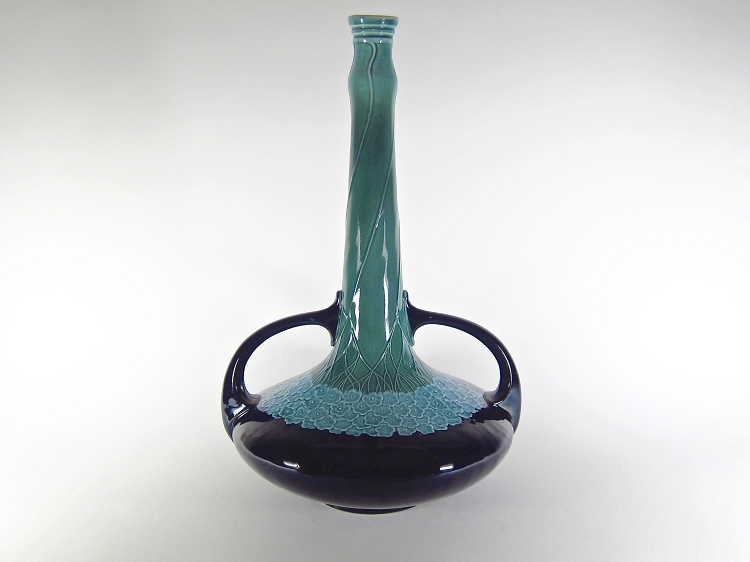 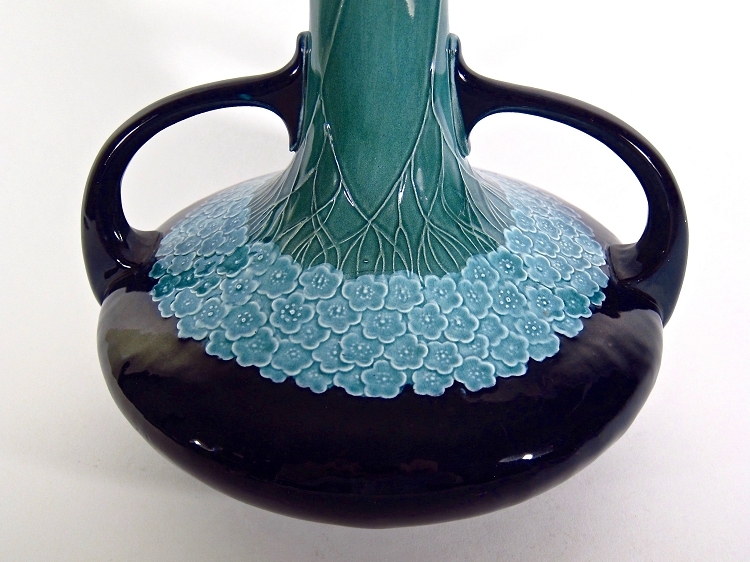 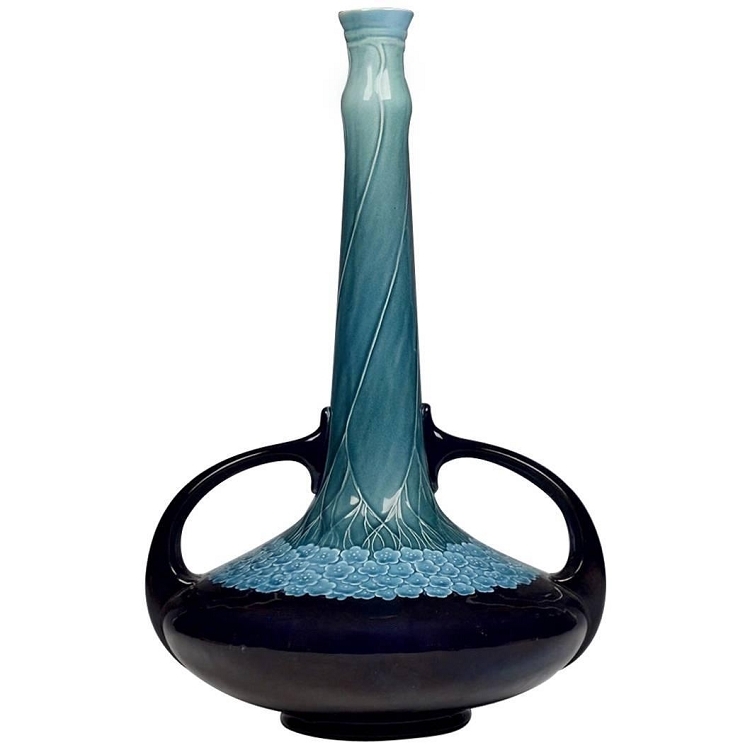 The interior of the vase is decorated with glaze of pale green, the long and elegant neck transitions from aqua to teal terminating in a band of corn flower blue blossoms (resembling hydrangeas) encircling the body. 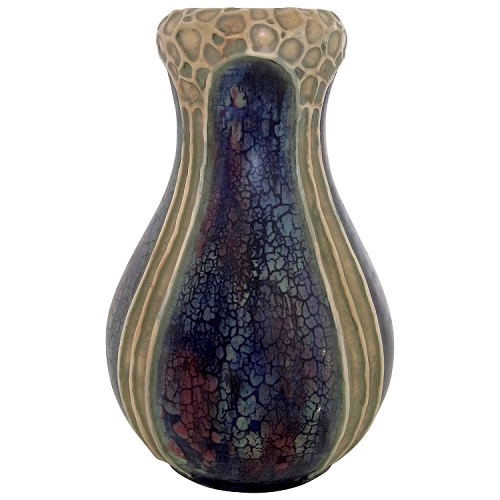 The handles and lowest part of the vessel are decorated in a contrasting deep, dark navy glaze. 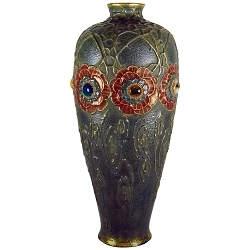 The vase is tall, measuring 15 in. 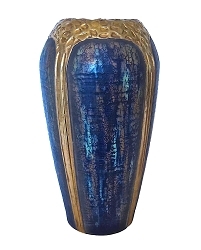 H x 9.5 in. 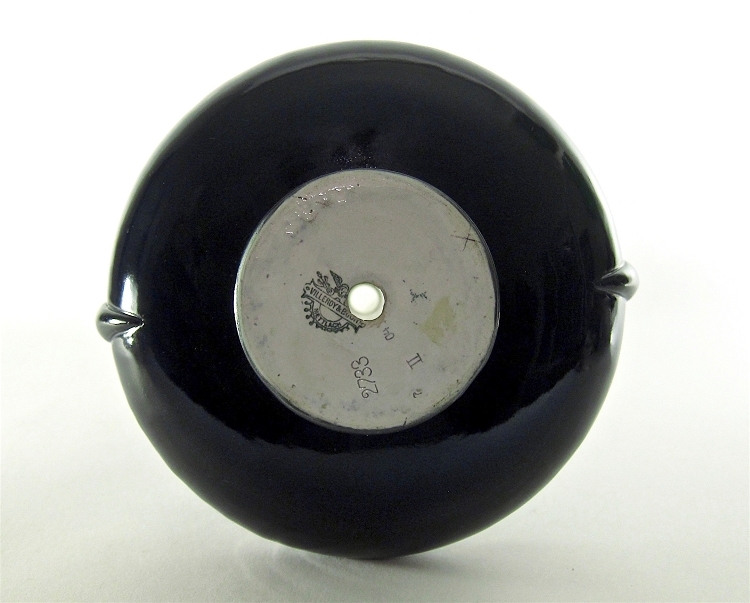 W (at handles) and in very good condition with a few tiny scuffs/scratches and age-appropriate crazing. 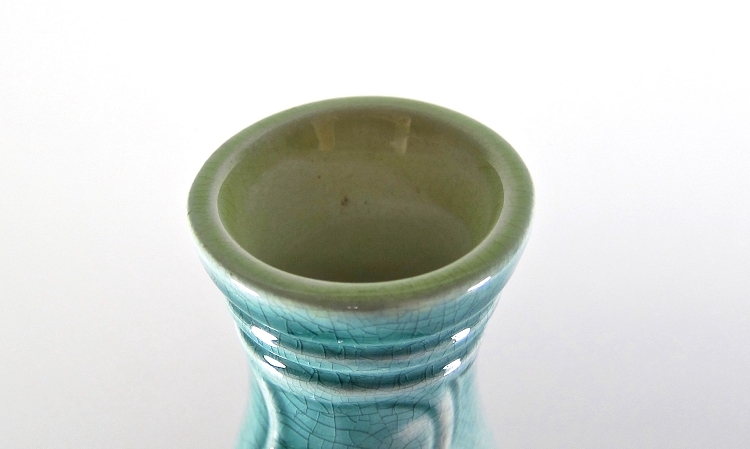 The base has a drill hole in the center indicating it may have been used as a lamp. 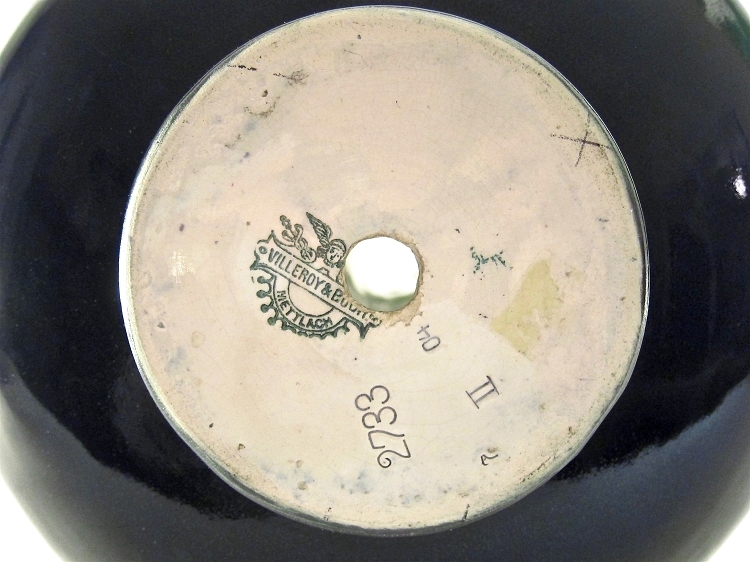 Fully marked on base with the printed Villeroy & Boch / Mettlach Mercury mark, impressed 04 for 1904 alongside the Roman Numeral II and form number 2733.